It happens. You miss your train from Venice to Paris and don't speak a word of Italian. You get so engrossed in the journey you're reading about that you miss your bus stop. You miss your flight because you rolled the dice on oysters at the airport and spent boarding call tied to the only airport seat lower than economy class. 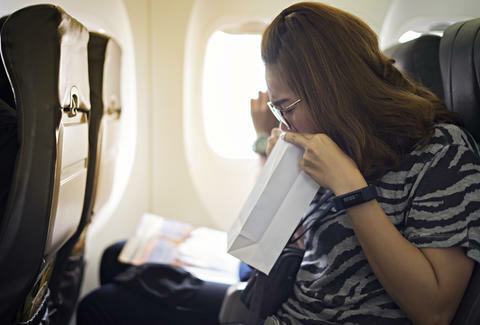 Below are wonderfully miscalculated, puke-drenched travel stories that might even make Peter and Kate McCallister feel a little better about their own mishaps. The first time we ever flew with our baby, we showed up on time to JFK. The flight was out of Laguardia. A few minutes after we rebooked, we realized we’d left one of our suitcases at home. wife and I had a flight at 4 PM. We both thought "ok, have to be at the airport at 4." Got to the airport at 4. First person to notice the flaw in our thinking worked for the airline. Botched my own throwaway ticket scheme by checking a bag, not thinking. Had to take the 2nd flight to follow it and pick it up, then drive 5 hours back to the layover city I’d intended on being my destination. A woman in front of me got a large wheel of cheese stuck in the security conveyer belt at the Central Wisconsin Airport and it held up the line. The TSA lady on duty said “oh no, not again.” That wasn’t my screw-up but I thought I would share. It’s not necessarily my bad experience but when i was a kid about 20 years ago a guy traveling by himself puked in the flight attendants jumpseat. Flight was delayed an hour to clean up and the guy had to just sit there and think about it. I once sent my luggage with FedEx because I saved $8, this trip was two months ago and I just got my box back 2 days ago. So it worked? A series of delays with Frontier resulted in a 19 hour journey from Houston to Salt Lake. I missed my own birthday party. My family called to sing me happy birthday and then they ate my cake when I was on hour 6 in the Denver airport. I guess Frontier was the mistake? The lesson here is... it's... Next time you're on a layover in LaGuardia standing in front of a restaurant that only serves bologna slices and raw cuttlefish, be glad you aren't a day late to your own birthday party. That, apparently, is a thing that could happen to a person.